When you think it couldn’t it does get worse. Over the past days, family members shared stories that are almost unbearable to listen to. From what I would call physical assault (something that happened a good 20 years ago) to incredible delays in getting access to the most basic medical diagnostics, such as an EEG. 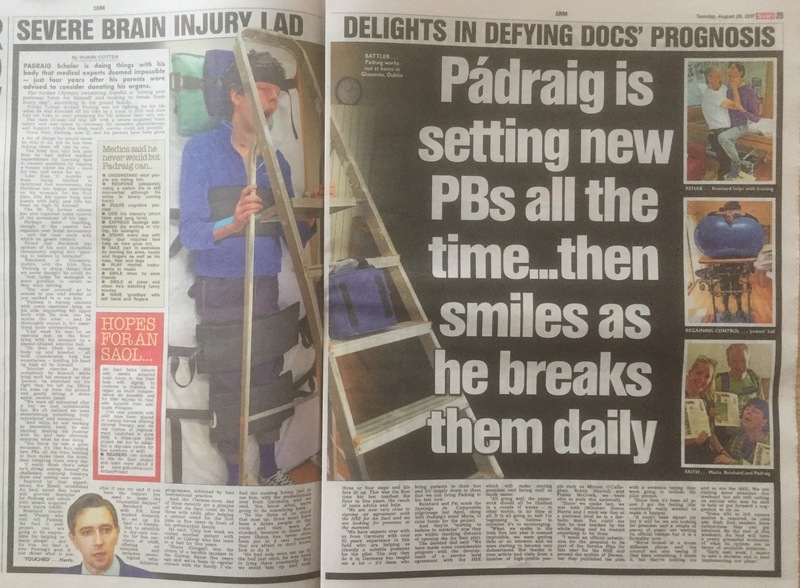 What The Irish Sun wrote today about Pádraig is an optimistic and positive view of the healing process that is possible. The tragedy is that it is a process that is happening despite, and not because of, the structures that are in place in Ireland to support injured like him. In the story they ask their readers to help us find premises. – Maybe, just maybe someone will read this and say: I have an idea! Today I promise myself that I will find a leat two carers, and two to three therapists that will help us support Pádraig’s recovery. I won’t care much about the cost. I will keep the receipts and send them to the HSE.